This service is open from 08.00 to midnight every day. Click on the ‘Connect’ button to connect to a BSL interpreter. If you have been affected by Hate Crime you can call the Stop Hate UK Helpline in BSL through this service. You need to live in one of the areas covered by Stop Hate UK or the crime must have happened in one of those areas. You make a video call to an InterpreterNow interpreter, they telephone the StopHate telephone line and then relay your conversation with the call handler. Your call is private. Stop Hate UK will never tell anyone else about you or that you called, unless you want them to. Which areas are covered by Stop Hate UK? You can also report Hate Crime if you are a member of the Roma, Gypsy or Traveller community and live in the Yorkshire & Humber region. Then click on the icon at the bottom of the screen to start the video call. It is best if no one else is using your internet connection at the time you make the call, especially not for streaming videos or playing online games. However, Stop Hate UK will support anybody who has been targeted for any aspect of their identity. The crime can be against a person or their property. What if I don’t live in an area covered by StopHate UK? 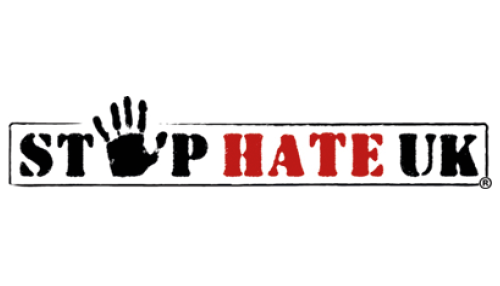 If you do not live in an area covered by StopHate UK and you want report a hate crime to the police, then you can do this through an online form at the True Vision website. Voice call 999 if you are able to.